The Kyani Triangle of Health features, Kyani Sunrise, Kyani Sunset and Kyani Nitro. Each of these products work in unison to provide optimal health and wellness with one easy to use system. 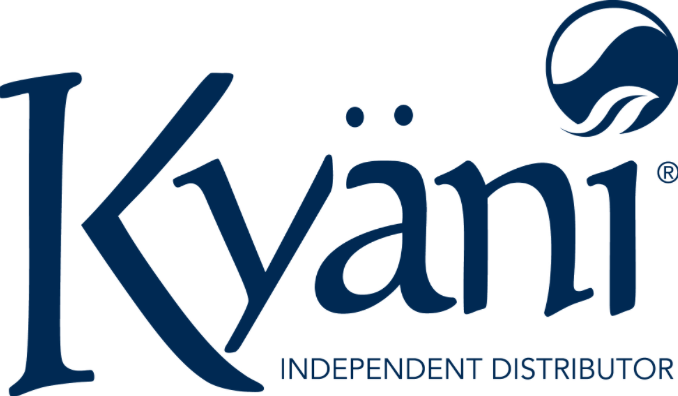 The Kyani Triangle of Health was created using advanced science to help you and your family experience more. 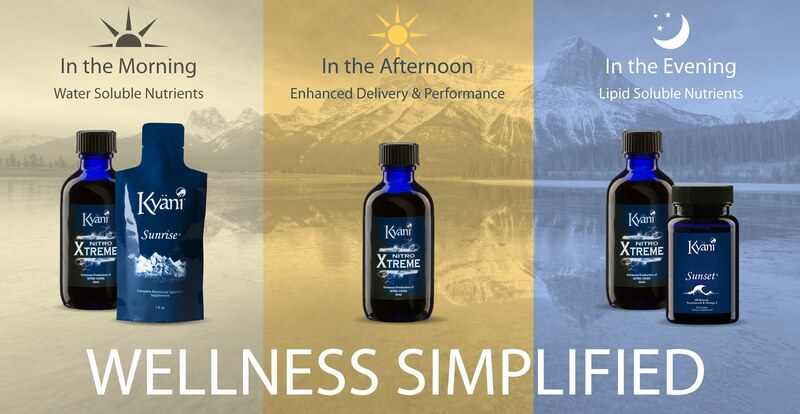 Kyani’s Triangle of Health products are a potent combination of some of the earth’s most powerful ingredients. These provide the human body with a solid foundation of restorative and nutritive elements that work together to support the body’s systems and create an individual in better shape. Kyani Nitro: Nitrates, found in plants like Noni fruit can efficiently produce Nitric Oxyde (N-O) gas. N-O is abundant in the human body, but it is unstable and short-lived, and thus must be renewed continuously. Nitric Oxide has been researched as an important signaling molecule in the body and effects a wide range of physiological functions. With today’s fast paced lifestyles, these nutritional supplements fight poor diet, lack of exercise, and high stress to provide optimal wellness benefits. Step 1: Take Kyäni Nitro Xtreme (one 1 mL dropper/one draw of the dropper filled half-way or 20 drops of the trial size) before Kyäni Sunrise, to prepare your body for Kyäni Sunrise. Step 2: Drink Kyäni Sunrise (1 pouch/30 ml) in the morning to provide essential vitamins, trace minerals, and anti-oxidants. Step 3: Take Kyäni Nitro Xtreme (one 1 mL dropper) in the early afternoon for an extra energy boost, approximately 5-6 hours after your morning routine. Step 4: Take Kyäni Nitro Xtreme (one 1 mL dropper) before Kyäni Sunset to prepare your body for Kyäni Sunset. Step 5: Consume Kyäni Sunset (3 gel caps) with dinner for optimal absorption and to allow Omega-3 to help restore your body during sleep. © 2019 Health Wellness Kyani Dist.